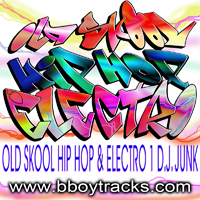 bboy tracks home - download b-boy tracks, funk , hip hop , breaks , dj tools. 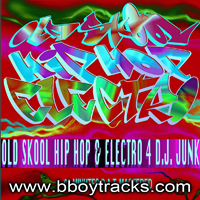 Download exclusive b-boy tracks, funk , hip hop , breaks , dj tools. Hear clips - download full length versions. Buy download credits through paypal (paypal account not necessary, paypal accepts cards). All files are high quality 320kps, 44.1 khz stereo. More tracks added often. 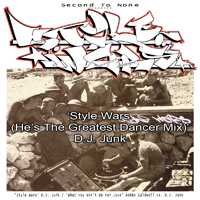 Mash up / b-boy track of the rap from 'Style Wars' by Hijack over some loops from Sister Sledge 'He's The Greatest Dancer' with some filter business and tuff b-boy breaks. Rap from Whodini's 'Big Mouth' with a rough funk break and bassline from 'The Mexican' by Babe Ruth, this is another version of the one that came out on the 'Bigmouth' / 'Big Bread Winner' 12" in 2001. has a different break and arrangement. Done in 2001 as a track for a house label as part of an ep that uses the 'Unwind Yourself' sample , they wanted a breakbeat mix to go with the house mixes but was never released as the label went out of business. '808 Beats' The Unknown D.J. 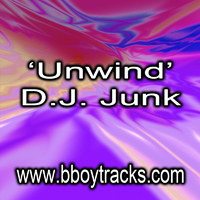 B-boy mix of D.J Junk's killer b-boy tracks, break mixes, funk remixes , soul and disco remixes. All mixed up in a 2 hour and 37 min mix starting with slower tempo for the warm up and gradually increasing in speed towards the end. A mixture of tracks old and new. non stop 80 min mix of b-boy breaks, b-boy tracks, funk remixes etc. 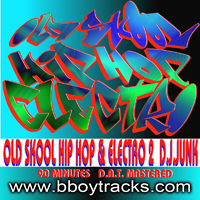 non stop 78 min mix of b-boy tracks, breakbeat tracks, funk remixes by DJ Junk. Starts at 124 bpm and over the mix the tempo gets gradually faster for the higher tempo funk remixes etc . 15) I'm Nobody, Who Are You? Full on battle track with rolling bassline and super hard breaks, different breaks coming in and out with sections of the just the break for double decking. Breaks as hard as nails in this super tuff battle track. Hard breaks with easy listening horns and bassline, slight big band sound but funky as hell. New version of this banging remix with added breaks. Kills the battle! 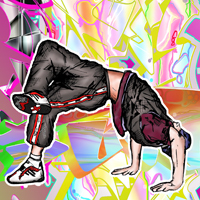 Super intense B-boy breaks mash up mix battle track with loads of killer breaks and a bass-line with an attitude! Perfect for a b-boy battle, also great for double deck action as has breaks on their own to cut up and double up. B-boy track with slamming breakbeats and a rumbling bassline. Some big band theme music going on in there also.